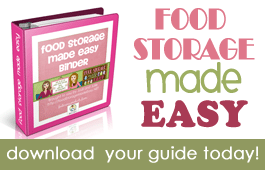 Food Storage Made Easy: an e-book for you! 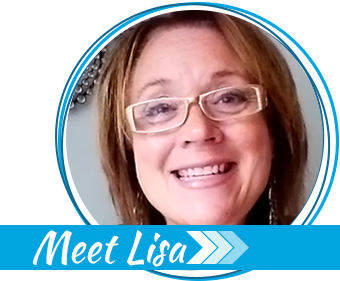 I often sneak over to Julie and Jodi’s great food storage site, Food Storage Made Easy. With my book research I’ve been looking for opposing viewpoints and information to compare with my own advice and experiences. As it happens, I’ve yet to find any area of disagreement with these two ladies! I enjoy their videos and have learned a lot from them. Plus, their website is just darn cute! Recently, they put much of their years of experience into an e-book that you can download and begin using in less than five minutes! 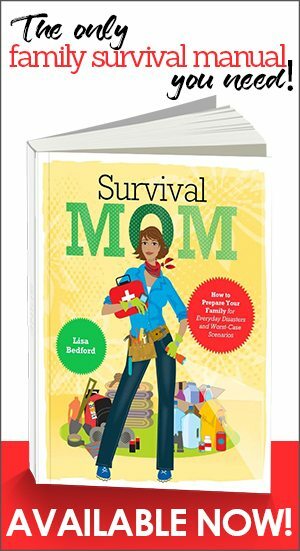 If you have a family member who is just now thinking about food storage, this book is a great guide for beginners, too. The price of $17 includes free updates for life and a lot more. Aren't these young ladies cute and smart? Very un-intimidating site. Newbies should be very comfortable with this site. Better than a bunch of bearded men in camo with big dogs wandering around poking their noses into the buckets of food. OH MY GOSH! I absolutely love Julie and Jodi! The money spent on the e-binder was an excellent investment, plus another $7at the big box store to get a cute pink binder. The baby steps checklists have me well on my way to a year's supply of food storage and easy "to buy" assignments give me a sense of accomplishment each time I check one off. The overwhelming task of "where do I start" is virtually eliminated as they walk you through it. I aslo signed up for "deals to meals" that is linked on their site. I have saved tons of money using the weekly sales cheat sheets without having to get the papers myself. Also, it is cheaper and easier to use than grocery game (IMHO) because the $4.95/month fee is good for all the stores available, not purchased as an additional fee per list. It's only availabe in a few states, but luckily Texas is one of them. herdofchihuahuas ~ I'll have to check out the "deals to meals" link. I'm an avid GG gal, but not apposed to a better AND cheaper source of couponing information! Thanks. I have been following their sitre for about 3 years. I LOVE it! They always have great info! Thanks! This is a great site! Where can I be directed on this site (or another) to really figure out the 6-month food storage? I have been prepping for years as we have lived in S. Fla, So Cal and of course because it is the right thing to do for your family. If I tried to store 6-months of food we (family of 4) could by no means eat the food (on a rotation) before most expiration dates are met. It seems I would need to have 3-months in freeze dried and keep a rolling, stocked pantry for other items. 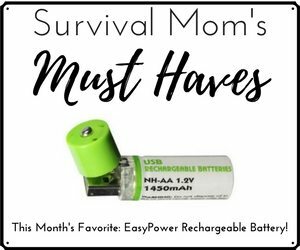 Survival Mom thank you for this website! Terra, one way to go about this is to plan your food storage by meals. 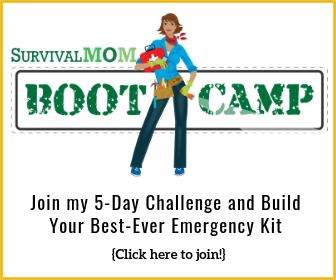 For six months you\’ll need enough food for 180 breakfasts, lunches, and dinners. Plan simple meals, of course! Take a pasta dinner, for example. 50 cans of pasta sauce and 50 packages of pasta will cover almost 30% of your dinners. Include cans of veggies for a side dish and plan on baking a loaf of bread per day. That\’s a decent, filling dinner. Plan 5 or 6 similar dinners, again keeping things simple. My family loves chili and rice, so I have plenty of canned chili as well as ingredients to make homemade and, probably 300 lbs. of rice. I\’ve got that meal covered! Generally speaking, ingredients will have a longer shelf life than typical grocery store foods. You can extend the life of many foods by repackaging them. If they\’re packaged in cardboard or plastic bags, repackage in food-grade plastic containers, jars, mylar bags or buckets. For breakfast, plan on hot cereals, homemade bread with peanut butter, healthy muffins and fruit. One meal of the day should be simple, e.g. leftovers, bread with peanut butter and honey with some fruit, soup. It\’s highly likely you\’re going to be cooking more from scratch, so if you can keep that one meal simple, you won\’t be a slave to the kitchen any more than necessary. Hope this helps! Please keep posting questions and feel free to drop me an email. Thank you for the response! I guess I am on the right road but will ask more questions. My wife and daughter are gluten intolerant. That poses some issues with breads and wheats as the best flour I have found to bake with and to get results (light bread) is Bob's Red Mill All Purpose Flour> Baking with the others lends to very heavy bread. Chex makes GF cereal in several flavors that tastes so good we all eat it. If you watch the stores I have found it for $2.00 a box (Target) and down to $1.49 if you purchase 4 or more. We took the plunge and purchased a 23Q pressure cooker and canned pint jars of hamburger! One of the jars was bubbling for quite a while afterward. Does that signify an improper seal? Which Berkey System would you recommend for a family of 4? How many filters? I know I asked but can't find the post – sorry! I was ready to order a Berkey tonight but read numerous reviews on Amazon that were not very favorable. Do you have any suggestions on a better product? Thank you.